"Maybe God was in the emptiness, in the cold and pain and despair. Maybe finding Him there would be faith. Maybe even imagining He could be there was hope." 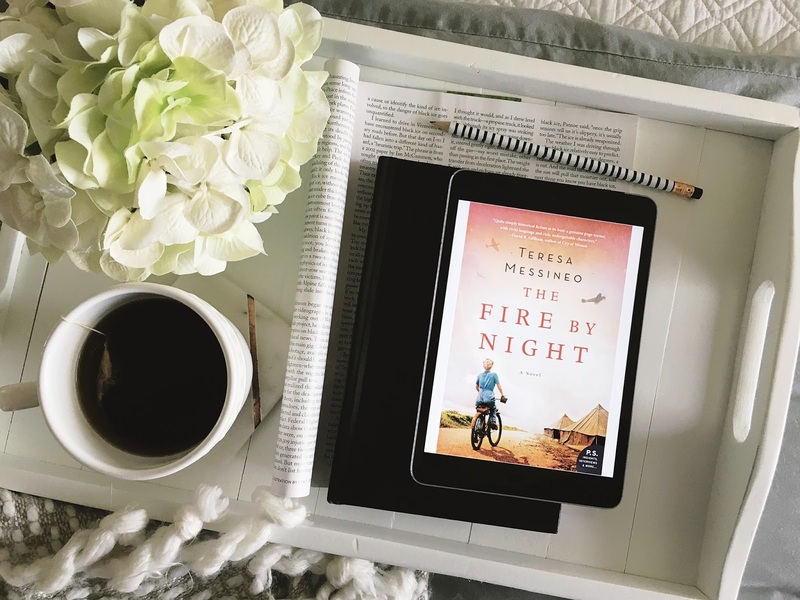 3.5-4 stars for Teresa Messineo's debut novel. I really enjoyed this book - it was well written, emotionally engrossing and an incredible tribute to the women who served their country on the front lines during WWII. I feel like I've read a lot of WWII historical fiction - it's one of my favorite time periods in my favorite genre, so I think I have a fairly good grasp on the books that are out there and I haven't read anything like this before. If I had to give a comparison - there are a lot of parts that reminded me of Laura Hillenbrand's Unbroken and the movie Pearl Harbor. I would like to say that the synopsis references The Nightingale and I would steer readers away from the comparison because the only piece that felt similar was the use of the dual narrative. The story follows two women who become best friends during their training as nurses. When they are deployed, Kay finds herself in the tropical paradise of the South Pacific, while Jo travels to North Africa and Europe. As the novel goes on Kay narrates from Santo Tomas Internment Camp in the Phillipines - describing the horrors of Japanese internment in the South Pacific and the astronomical loss of human life to disease and starvation. Jo, after traveling through Europe and Africa, is stranded in a field tent somewhere in occupied France. She's the last of the medical staff and with six injured men on her hands she's fatigued mentally and physically. Of the two, I was more interested in Jo's story it seemed to move a little quicker than Kay's and I was more drawn into her role in taking care of her charges. This novel really explores the physical and mental trauma of war, the sacrifice and bravery of all who were part of it - but does an wonderful job of bringing to light the terrible sacrifice of the women nurses who usually seem to be a side story in books about this topic. It gave me a whole new appreciation for combat nurses. The only reason this wasn't a solid four/five star read for me was that there were disjointed parts of the narrative (I understand why the author did this, but it detracted from my reading experience) and the pacing felt stalled at times. Otherwise, it was very well done.